The fest opens and closes with this latest offering from Takeshi Miike (Audition, 13 Assassins), an off-beat adaptation the Capcom video game. 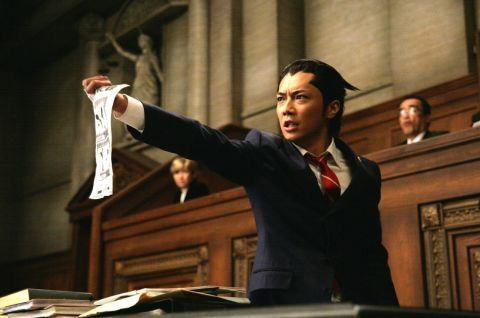 Hiroki Narimiya stars as Phoenix Wright, a young attorney working in a near-future Japan where crime rates are so high that trials are fast-tracked via a process that gives prosecutors and defenders just three days to make their arguments. Phoenix finds himself in over his head when an innocent is charged with murder. An unusual change of pace for Miike, and a unique film experience. Legendary Hong Kong actor Simon Yam (Bullet In the Head, Full Contact) stars as an aging detective who crosses paths with an ex-con (Nick Cheung) who may or may not have been guilty of the murder he went to prison for. Enter a beautiful young pianist (Janice Man) with an uncanny resemblance to the victim — and the same father. A gritty, twisty ride by rising writer-director Roy Chow. 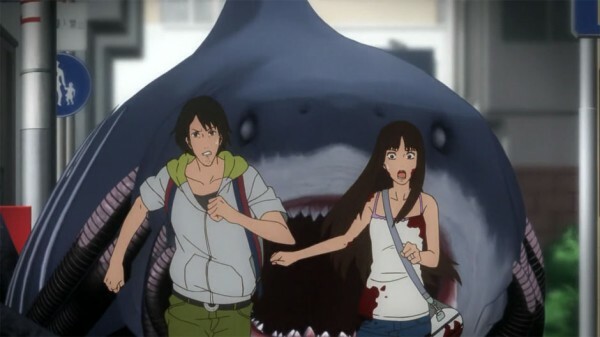 Takayuki Hirao’s animated horror flick that posits the question: “What would happen if the denizens of the deep decided to turn the tables on us?” Cue sea-life that encroaches into the human world on metal legs, the result of a dreadful wartime secret. Equal parts dreamlike and disgusting, and utterly unforgettable. Pen-Ek Ratanaruang’s gritty tale of former cop Tul (Nopporn Chaiyanam) whose view of the world is turned upside-down — literally — by a head wound that damages the way his brain processes what his eyes see. Struggling to adapt while searching out his betrayer, Tul is recruited by a secret organization to assassinate corrupt politicians. Crime noir with a twist. 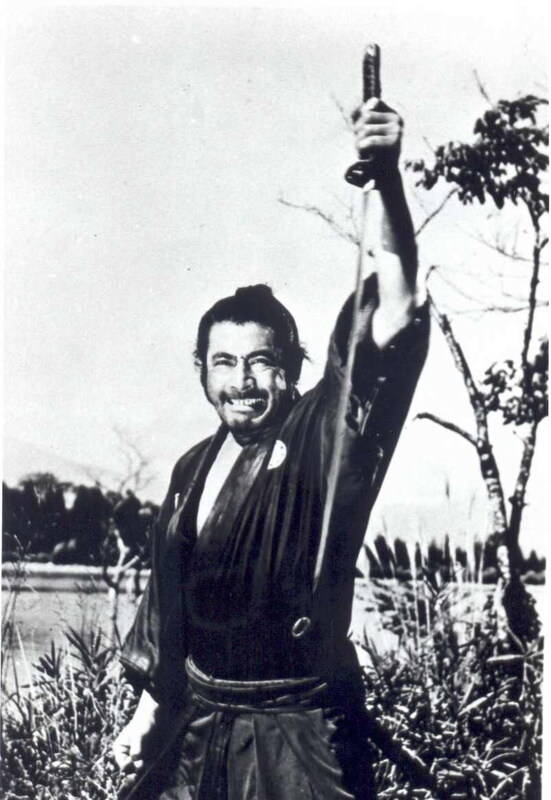 Akira Kurosawa’s classic samurai tale, featuring the iconic Toshiro Mifune in one of his signature roles, the rōnin hired by a group of young samurai to help rid their clan of corruption. 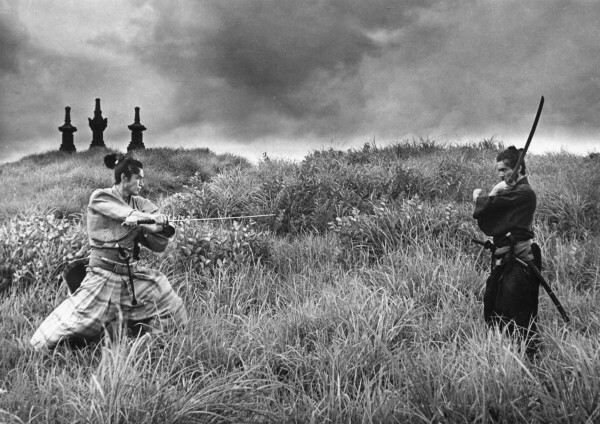 A sequel to Kurosawa’s influential Yojimbo, it’s another sure-handed masterwork from Kurosawa’s heyday. A rare screening of Masaki Kobayashi’s 1962 samurai epic about an aging rōnin ordered to stay alive after the death of his deposed lord and care for the family of a family comrade, rather than commit ritual suicide and retain his honor; his situation takes an unexpected turn. A samurai film classic, with themes of redemption intertwined with the shadow of the coming Meiji restoration and the passing of the Bushido code. 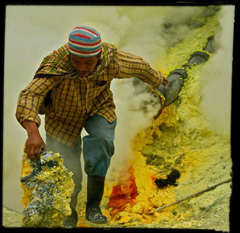 Sasha Friedlander’s stirring documentary about four of the 500 men who mine sulfur at Kawah Ijen, an active volcano in Indonesia. Paid by the pound, these miners endure hazardous conditions and treacherous terrain, inspired only by their faith and the love of their families as they struggle against poverty. A stunning portrait of perseverance.